This is the builder's JACOB 2017 model with an eat in kitchen and breakfast bar, open to the family room, overlooking the covered patio. It has a spacious inside laundry room with plenty of cabinetry. It includes granite countertops and a SS appliance package. It has a split bedroom plan with his/her closets in the master, stunning choices for colors and flooring. 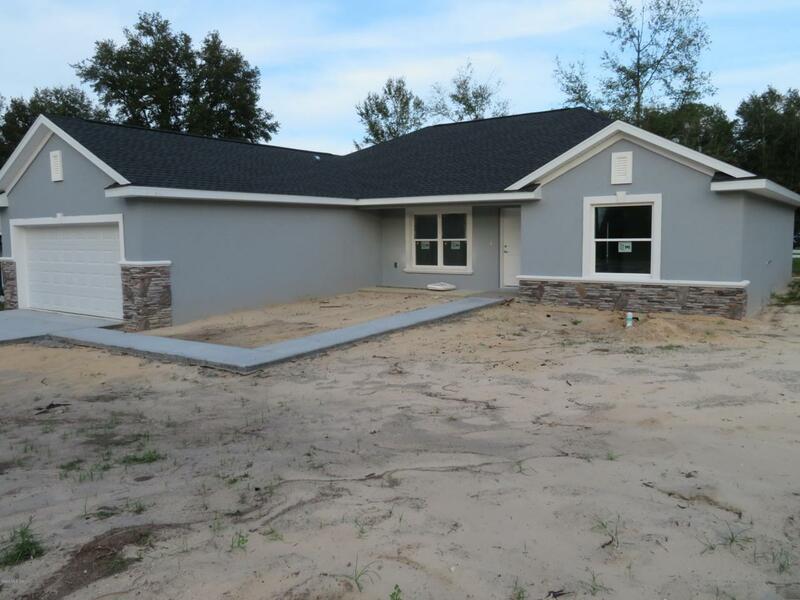 Close to shopping, golf, restaurants and medical facilitiesBuilder provides a standard 2/10 home warranty and has several models to choose from throughout Marion County. Call for availability.